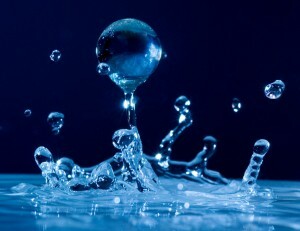 A common application of water activity measurement is the predicting of product shelf-life and stability especially in foods not relying on refrigerated storage. 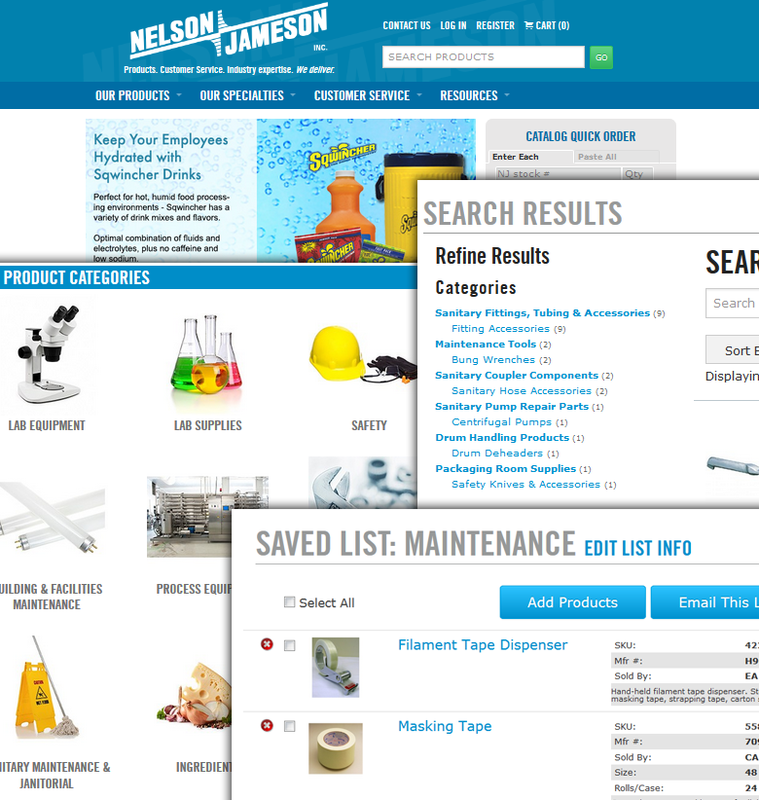 And for product that will ultimately be refrigerated, water activity measurement can be useful in production processes. Monitoring and control of water activity in combination with pH and salt can effectively increase product safety and stability. With this in mind, if your lab does not currently test for water activity it may be helpful to add this useful tool to your SOP. To learn more about water activity click here for the full piece from UC-Davis or here for further information from Clemson University. Also, be sure to check out our water activity offerings from Nelson-Jameson by clicking here. 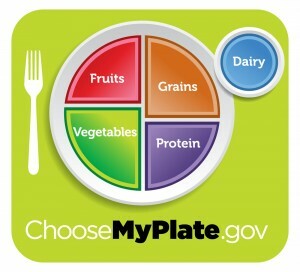 Well, never fear my diet dilettante, the nourishment experts at the USDA have replaced the familiar triangular doctrine of food intake with a straight-forward graphic of a dinner plate. 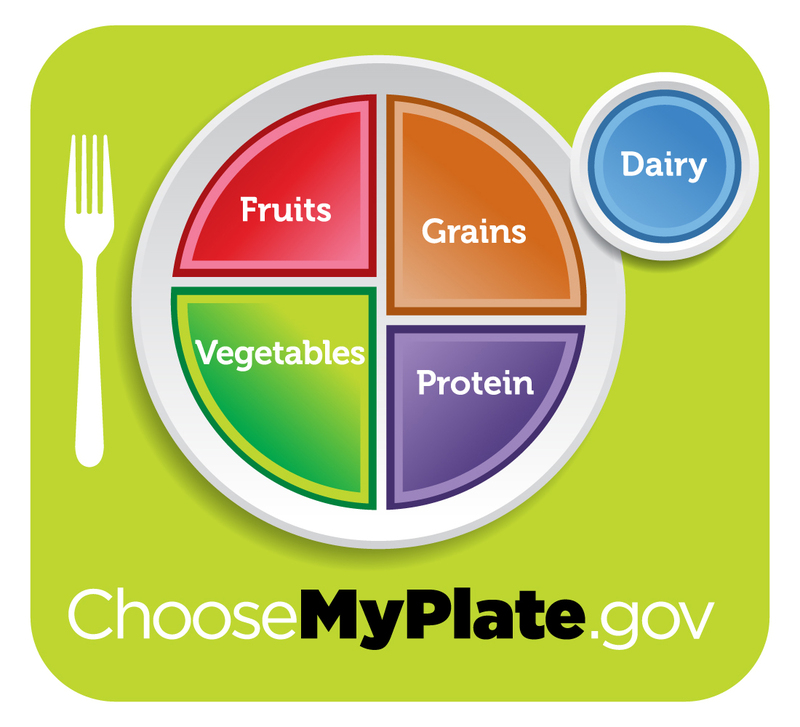 “My Plate” depicts a plate setting divided into 5 food groups: Vegetables, Grains, Proteins, Fruits and Dairy. The message is pretty clear – this is what your plate should look like at every meal if you want to optimize your health. Oh, and, no, you’re not imagining things – half of the plate IS vegetables and fruit. Basically, the USDA is sending a not-so-subtle message that it’s time to buff up on “Meatless Monday” recipes. As a new mom, this message hits pretty close to home. My daughter is almost a year old, and increasing her intake of solid foods every day. Right now, her palate is pretty malleable. There’s no need for the hard-sell where vegetables are concerned. I mean, she’s just discovered opposable thumbs. Plying various veggies on my (literally) captive audience of one isn’t the most difficult part of my day. However, even at 11 months, I am starting to see food preferences emerge – cheese, yogurt and bread strong among them. It doesn’t take a giant leap of thought to imagine that these food propensities will only grow to be more pronounced and may soon edge out the vegetable category altogether. So, what’s a responsible, health-conscious mother to do? I am clearly not alone in this dilemma. American’s overall consumption of fruits and vegetables has been stuck at less than half of the recommended amount for quite some time. The statistics are worse among children under the age of 18. Only about 16% of kids are meeting the government’s vegetable and fruit guidelines, with fried potatoes accounting for approximately a third of vegetable consumption and juice making up more than a third of fruit consumption. It appears that the tide may be turning however, if food processors have anything to say about it. Two main pro-vegetable strategies are emerging among food manufacturers. The first is to make vegetables more attractive and user-friendly. Examples include pre-prepped fresh vegetables, such as fancy-cut baby carrots or shaved brussels sprouts. The other approach is to actually make veggies “stealth” by slipping them into other more widely-accepted foods, such as casseroles and baked goods. Along those lines, Green Giant recently introduced “Veggie Blend-Ins” – prepackaged pureed vegetables that can be added to less-healthful foods. Similarly, Kraft added pureed, freeze-dried cauliflower to a variety of its Macaroni & Cheese Dinner and Chef Boyardee has increased the amount of tomato in some of its canned pasta. Each of these strategies is decidedly different – one is rooted in good-intentioned deception, and the other speaks to our busy lifestyles while appealing to our fondness for the aesthetically-pleasing. I am happy that the food industry is actively tackling the kid vs. veggie challenge, and am sure that I will be practicing both approaches with my daughter. Because something tells me that there will be no shortage of grilled cheese sandwiches in my future – grilled cheese with veggies, that is.